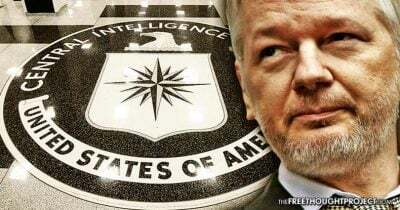 A SECRET declassified report by then-CIA Director William Casey, titled, “Unauthorized Disclosures to the Media” proposed creating legislation that would make possession of classified information a criminal offense. At the time that would make anyone reading a New York Times article with classified information, or WikiLeaks in the modern-era, criminally liable and able to be prosecuted by the state. Although Casey was in favor of creating new legislation to specifically target media leaks, as well as those who come to possess those leaks (journalists or readers), he argued against utilization of the Espionage Act to prosecute leakers. While Casey acknowledged that the media was conflicted in their obligations, he conceded that it’s the job of the media to inform the public. Ironically, despite his admission that the job of a journalist is to inform the public, he goes on to espouse a desire to see the media prosecuted for their role in publishing leaks and held in contempt if they failed to name their sources. Ironically, as Muckrock points out, far from minimizing the potential harm of national security leaks, Casey emphasized the damage that they could do. However, none of the five examples provided by Casey in his report resulted in any actual harm. Two examples “could have” resulted in adversary adjusting their techniques, though the language implies that hadn’t happened. A third and fourth example resulted in potential damage which forced the Agency to cut off contact with a human source lest that danger be amplified. While endangering human sources is never a good thing and disrupting HUMINT operations was unlikely to have been the intention, the report again indicates that no actual harm came to anyone. A fifth example placed someone in danger of being discovered, again a possibility which hadn’t come to pass, though it “could possibly have an adverse effect on U.S. relations” with an unknown group. Ideally, as Muckrock notes, Casey felt that the new law should not require they demonstrate that a leak caused any actual damage to the United States. Instead, the question should be whether or not the information was passed to someone not authorized to receive it. Although he expressed that the Espionage Act was the wrong way to go about doing so in the report, only a few months later the government successfully prosecuted Samuel Morison – setting a new precedent for decades to come. Since then, the draconian Espionage Act has been used to target whistleblowers and leakers alike — with Obama using it to prosecute and imprison a record number of journalists’ sources — and even threaten media publishers. The declassified report gives a clear insight into the mind of a high-level government official, in terms of how free of a press they really would really like to see in the United States. While it was admirable that then-CIA Director Casey made clear that the Espionage Act was overkill for leakers, the idea that he wanted to create legislation for the government to have the ability to prosecute journalists for informing the American public about the extrajudicial actions of their own government – and which could likely also be used to criminalize the public – seems extremely antithetical to the First Amendment and the entire notion of a free press. For those that don’t remember, CNN also said the same thing—that reading WikiLeaks is illegal—and this was just last year. View full document on Scribd HERE.